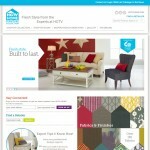 This is the second design I created for HGTV Home Furniture. 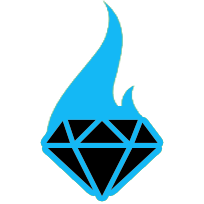 The initial design we did based on brand standard their marketing firm put together. 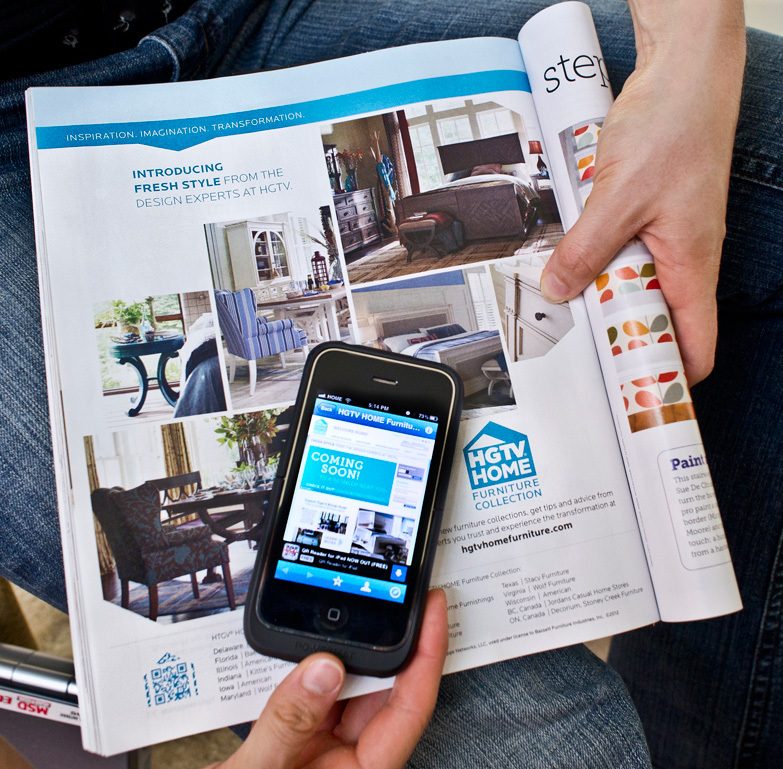 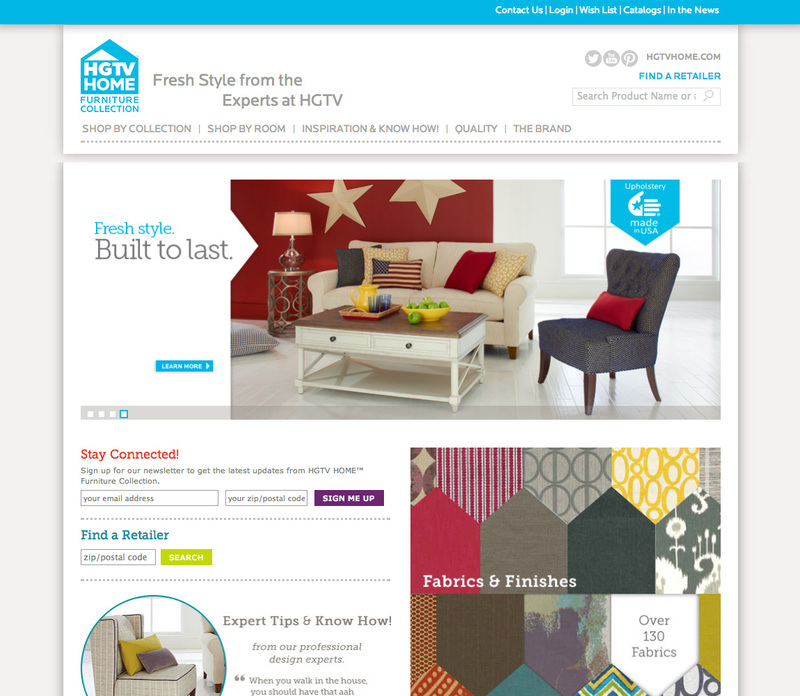 The HGTV home line consists of several product lines that all function as their own unique entity. 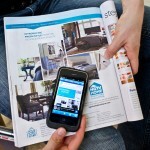 These product lines include furniture, baby, fabric, paint, flooring, plants and lighting. As the HGTV Home brand evolved they wanted to redesign the sites for the individual product lines to follow web specific brand guidelines. 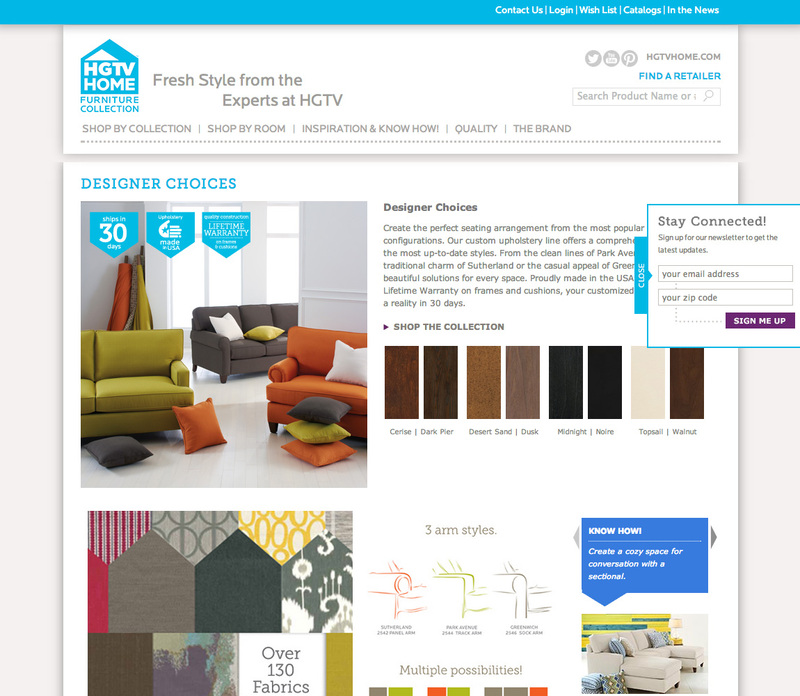 The HGTV Home Furniture line was the first the complete this branded refresh so some of the UI patterns that we created got carried over into the other sites (like the styling for the “Stay Connected” Newsletter sign up drawer). 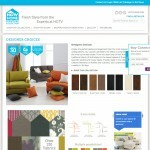 The HGTV Home Furniture site is not responsive, but it does have a unique mobile site.